Salluit Research Station is owned and run by CEN whose secretariat is based at Université Laval, Québec, Canada.  Permafrost research by CEN began in 1987. A major research program was undertaken in 2002 to support community adaptation to changing permafrost in the context of climate change and to housing and infrastructure needs for the rapidly growing population. The field station was built in 2010. Salluit is located in the low Arctic and is in a valley that opens to Sugluk a fjord. The surrounding landscape consists of rocky plateaus with a hilly topography. The fjord opens to Hudson Strait. Research has been conducted in the region in both natural and human sciences since the early 1960s by various groups. Permafrost research by the CEN began in 1987. The field station (a house) was built in 2010 thanks to a grant acquired from a federal research infrastructure program. Numerous theses and research papers have been published on permafrost, periglacial geomorphology, archaeology, climatology, paleo-climate, population, culture and land management in the area. Climate data and permafrost temperature data from automatic stations, since August 2002, are available at www.cen.ulaval.ca/nordicanad and upon request at cen@cen.ulaval.ca. Surficial geology and permafrost maps have been produced for the territory. It is possible to rent an ATV and a pickup truck from the CEN. The station is a 3 bedroom house with 6 beds, one bathroom (shower), laundry facilities and a kitchen. CLSC in town, 2 staff with basic medical training. 45 min. to hospital in Puvirnituq (by plane). Local support for services and field work is available in the community. Station users are instructed to do their cleaning and take good care of the premises and do minimal maintenance, if needed. Contact CEN (cen@cen.ulaval.ca) for more information. Inuit and their ancestors have occupied the region for over 3500 years. Many of the key archaeological sites of the Hudson Strait region are along the fjord coastline and along Hudson Strait. The shift from a nomadic lifestyle to permanent settlement led to the growth of the village in the 1930s with the installation of the Hudson Bay Company and churches. The population size has reached about 1350 inhabitants, with youths constituting an important part of the population. Access is by commercial airlines from Montreal and Quebec city. Every summer, several cargo ships allow shipping of heavy equipment and materials, though this requires planning in advance. The station has no permanent staff. Local support for services and field work is available in the community. Station users are instructed to do their cleaning and take good care of the premises and do minimal maintenance, if needed. Contact CEN (cen@cen.ulaval.ca) for more information.